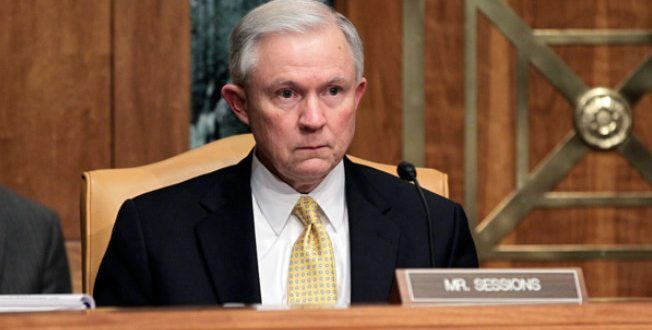 Sessions: Arresting Julian Assange Is Now A "Priority" - Joe.My.God. The arrest of WikiLeaks founder Julian Assange is now a “priority” for the US, the attorney general, Jeff Sessions, has said. Hours later it was reported by CNN that authorities have prepared charges against Assange, who is currently holed up at the Ecuadorian embassy in London. Donald Trump lavished praise on the anti-secrecy website during the presidential election campaign – “I love WikiLeaks,” he once told a rally – but his administration has struck a different tone. He added: “So yes, it is a priority. We’ve already begun to step up our efforts and whenever a case can be made, we will seek to put some people in jail.” Citing unnamed officials, CNN reported that prosecutors have struggled with whether the Australian is protected from prosecution by the first amendment, but now believe they have found a path forward. A spokesman for the justice department declined to comment.